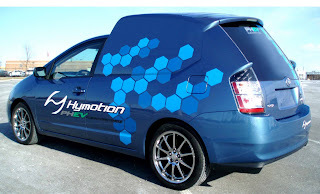 HYMOTION CONCEPT: A123 Battery Co. is the maker of high quality Lithium Add-on Battery kits used to extend mileage in Hybrid Electric Vehicles. It is referred to as PHEV. 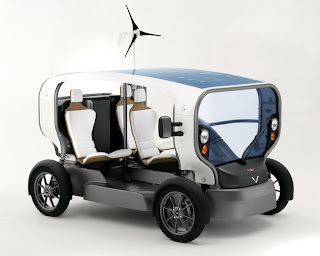 EVCENTER.ORG has added the van design to demonstrate a potential project. Sponsor a PHEV Van and be a green leader. TMC, new Prius Plug In Specs : PHEV is a 5 passenger vehicle with a cruising range of 8 miles (13 km) in the all electric mode with a top speed of 60 mph (100 km/hr). It is equipped with 2 - 6.5Ah nickel-metal hydride batteries powering a 67hp (50kW)/1,200-1,540 rpm synchronous electric motor with a maximum torque of 400N-m(40.8kg-m) @ 0-1,200rpm. The 1,496cc gasoline engine has a maximum output of 75 hp (56kW) @ 5,000 rpm and a maximum torque: 110N-m (11.2kg-m) @ 4,000rpm. Maximum output using both the engine and the battery is 134 hp (100 kW). 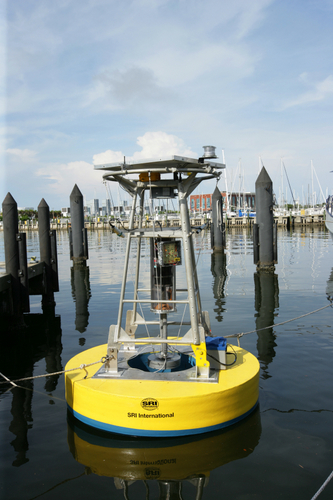 Charging time for the battery is 1-1.5hrs @ 200V and 3-4hrs @ 100V. General Motors is working on two new plug-in hybrid vehicles, but it has not set a specific timeline. 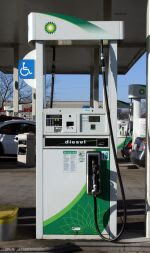 A plug-in hybrid could have its batteries charged by plugging into an electrical outlet as well as by using power generated from an on-board engine. The first GM vehicle would be a plug-in version of the new Saturn Vue Hybrid. The other would be something like the Chevrolet Volt concept car, where the wheels are driven by electricity alone, and an on-board engine is used only for back-up generator power. Imagine the gains in fuel savings if these vehicles were converted to plug-ins. If your only experience with diesel engines comes from watching buses and trucks or driving an old diesel car from the 1980s, performance is much better than you think. It is a little different from driving a gasoline-powered vehicle, though. Engine RPMs are lower than with a gasoline engine and the engine sound, while not harsh or noisy, is slightly different, too. But when you step hard on the gas pedal, the turbocharger kicks in quickly. (All modern diesel engines are turbocharged.) With its superior torque - torque gives the pull you feel when accelerating - you'll be surprised how quick a diesel car can be. Also, Diesel is the world's most efficient internal combustion engine. It provides more power and more fuel efficiency than alternatives such as gasoline, compressed natural gas or liquefied natural gas. Read more about the history of the diesel engine. Today though ULSD Ultra Low Sulfur Diesel can be combined with PHEV technology to significantly reduce emissions and extend mileage. By 2010, diesel cars will be held to exactly the same EPA emissions standards as gasoline-powered vehicles. Several car companies say they will make cars to meet those standards. 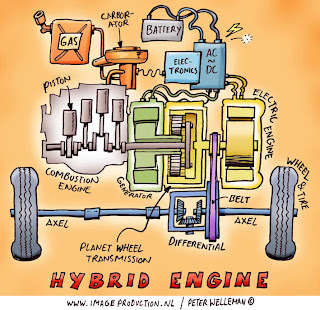 The Hybrid Engine of the Toyota Prius has a unusual way of driving the wheels -not through gears like a normal car, but through an electric power train: the combustion engine charges the battery by making the generator spin. 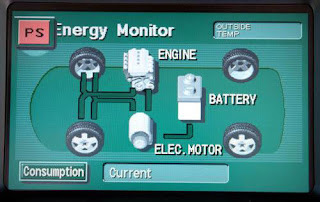 The battery gets packed with electric energy, but it feeds the electric motor if more power is needed, in case of accelleration for instance. 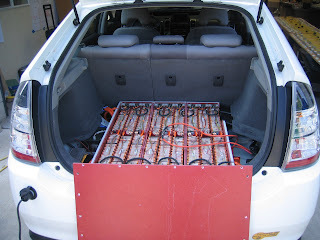 By smartly combining generator, gasoline and electric engine the car is very efficient, is doesn't need a lot of gas which is good news for the environment. 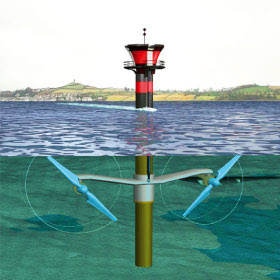 This is the “LoopWing” wind turbine. 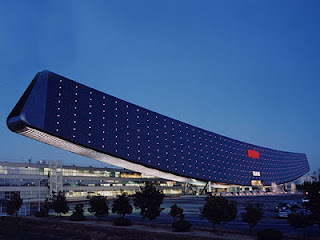 It was unveiled at Japan’s Eco-Products 2006 Exhibition. 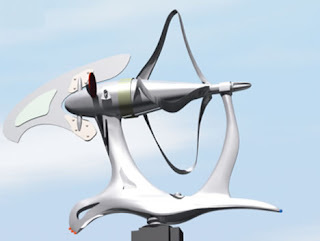 The E1500 model turbine is aimed at homeowners, and it sports a unique wing design that operates with low vibration, and at wind speeds as low as 1.6 m/sec. The efficiency specs on the turbine are vague — “43% power performance at optimum wind speeds” is all published. :: LoopWing via Japan For Sustainability. 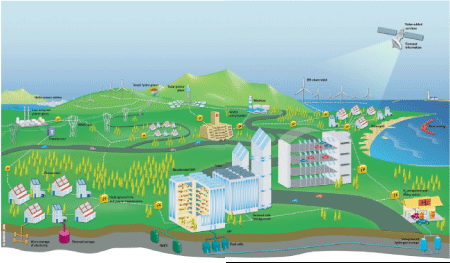 Our energy system can’t be changed for hydrogen from one day to another. 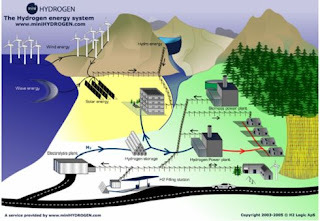 Most hydrogen today is produced for industrial purposes from fossil fuels, and in amounts far enough for supplying a hydrogen energy system. Fossil fuels today are the cheapest way to produce hydrogen. 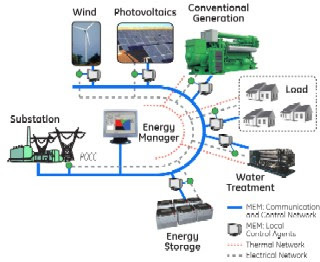 Fossil sources and technologies for hydrogen production therefore will be necessary for decades to come, and will help the transition to hydrogen. DMV RULES: A vehicle that meets California's super ultra-low emission vehicle (SULEV) standard for exhaust emissions and the federal inherently low-emission vehicle (ILEV) evaporative emission standard. 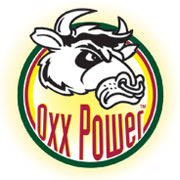 A 2004 model-year or older vehicle that meets the California ultra-low emission vehicle (ULEV) standard for exhaust emissions and the federal ILEV standard. 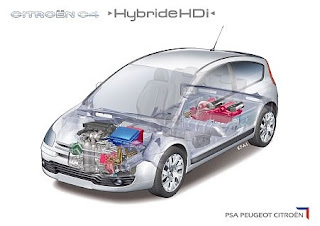 A hybrid or alternative fuel vehicle that meets California's advanced technology partial zero-emission vehicle (AT PZEV) standard for criteria pollutant emissions and has a 45 miles per gallon or greater fuel economy highway rating. 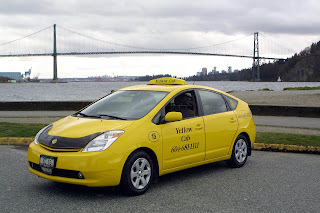 A 2004 model-year or older hybrid and meets California's ultra-low emission vehicle (ULEV), super ultra-low emission vehicle (SULEV), or partial zero-emission vehicle (PZEV) standards. 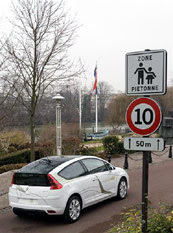 The 85,000 Clean Air Vehicle Stickers (yellow) that VC §5205.5 allows for hybrid vehicles have been assigned. Original Clean Air Stickers will no longer be issued to hybrids; however, substitute stickers may be issued if the original is damaged. To find out if your vehicle qualifies, check the California Air Resources Board (ARB) website. 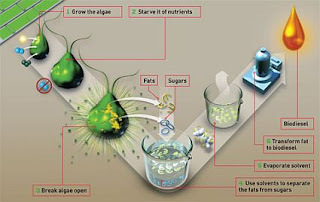 ALGAE FOR CARS: Why not, oil is decomposed organic material, long ago converted from the sun... The main issue is not whether fuel can be extracted from organic material; whiskey and ethanol from corn, vodka from potatos etc... Algae can produce fuel, but how much and at what cost. Microbiotic's combined with fuel stock can convert garbage into gold. 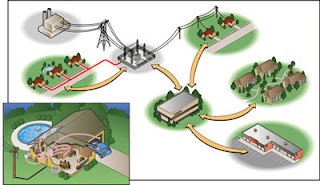 Closed end systems with microbiotic loops will become the energy production standard of the future. 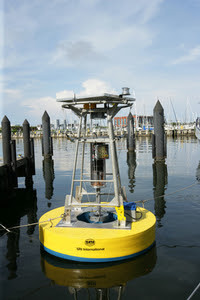 I think that the algae is a remarkable realization, and now the marketplace can speak up and find uses.. In which Solazyme will generate algae oil for Imperium's biodiesel production process. Under the agreement Solazyme will grow its proprietary strains of microalgae, extract the oil, and dell conliver it to Imperium. Imperium wivert the feedstock oil using its proprietary technology into biodiesel fuel in its Seattle plant. 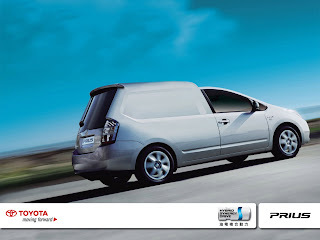 Specially designed Prius delivery van. EVCENTER.org is seeking to find a company that wants to have the world's first PHEV Prius Delivery van. Contact david z spdwy777@gmail.com for more information. 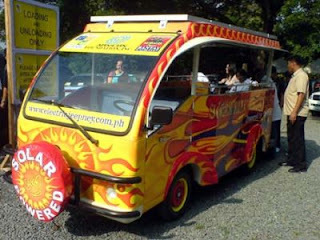 “The e-Jeepneys are powered by five-horsepower electric motor engines with 12 batteries that, at full capacity, allow the vehicles to run 120 to 140 kilometers at around 40 kilometers per hour. The information on this vehicle is a bit sketchy. The vehicle would be a lot better with a hybrid recharger. 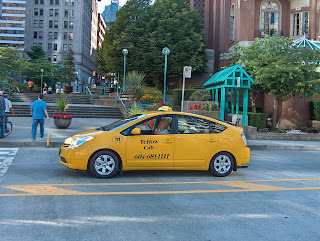 Pure battery power is a bit problematic for a taxi. 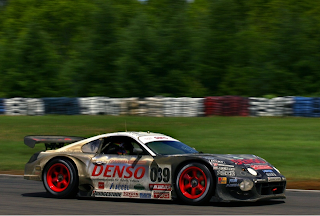 But I love the paint scheme. Do they do a lot of LSD in the Philippines or what? 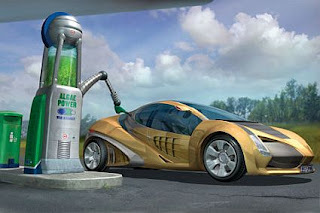 In addition, Hydrogen-boosted gasoline engines have the potential to considerably improve fuel economy. 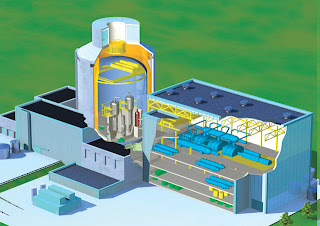 A major cost and environmental advantage of the hydrogen-boosted lean system engine are low amounts of NOx emissions gasses, hence, complete elimination of the need for external NOx emissions control. Currently, NOx emissions control is a major cost problem for diesels which use expensive traps to meet emissions standards. Diesel particulate emissions must also be collected by a filter that must be periodically regenerated. A four-wheel energy regeneration and drive system has been adopted which includes in-wheel motors in the front wheels in addition to one 150 kW rear-axle mounted electric motor. Thanks to this energy regeneration system with three motors/generators, the vehicle can more efficiently recover a greater amount of energy during rapid deceleration and braking from high speeds. 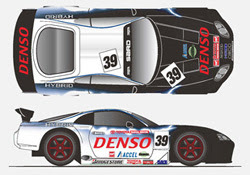 In light of the fact that racing involves a repeated acceleration and deceleration under full system performance, a quick-charging capacitor system was adopted instead of the usual rechargeable batteries. HyTrans is based on a Ford Transit van which has a belt-driven integrated starter generator that operates automatically to stop the engine when it is idling with the gear lever in neutral, and restarts it once the clutch is depressed.. 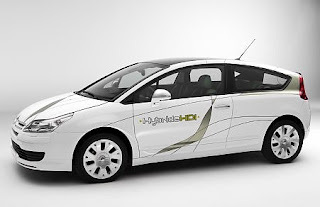 The aim is to save up to 20 % of fuel consumption by adding a start/stop or "mild" hybrid system. Transit vans are used in towns and cities as commercial vehicles. It is quite normal for commercial vehicles to be stuck in traffic jams or at traffic lights for 10 to 20% of their journey time. 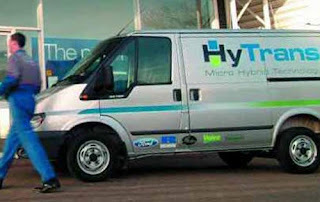 This means that they are burning expensive fuel and creating unnecessary pollution.The HyTrans concept adds Valeo-built electro-motors to a Ford Transit diesel engine. The starter alternator is connected to the engine via a Gates front-end ancillary drive (FEAD), and the regenerative braking is controlled by a Ricardo supervisory control system.